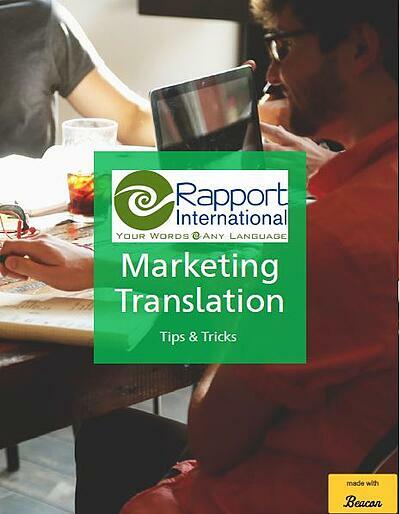 At Rapport International, we have the translation and interpretation services you need to communicate effectively and reach your community. Organizations in the non-profit sector depend on clear communication with stakeholders (donors, beneficiaries, employees) and community members. Our non-profit clients benefit from free consultations to ensure they receive the most appropriate services at the best price for their unique needs. To learn more about interpretation and translation services for the non-profit industry, request your free consultation. You have goals for your non-profit organization, and we can help you get there. We get to know your cause, your challenges, and your requirements to provide the best translation, interpretation, and multilingual marketing services, bar none. Want to dive into specific multilingual non-profit services? At Rapport International, we match you with translators and interpreters that are experienced in the world of non-profit organizations and understand your unique needs. We provide a wide array of services tailored to your industry and we take the time to understand you and your cause and make sure you always communicate in a culturally-sensitive manner. As our communities continue to grow and diversify, reaching potential clientele and donors can be challenging. Rapport International helps non-profits communicate with non-English speaking populations and set up a system for servicing people who speak any language. Learn more about translation and interpretation services. Non-profits can’t operate without support and public awareness. Rapport International understands that your non-profit organization needs to increase visibility, engage your audience, and advocate for your cause. Appropriate, in-language communications and marketing improves engagement with prospective clients and benefactors, and promotes your non-profit organization with new audiences. Learn more about multilingual marketing. Your non-profit has strict budget constraints- we understand. Rapport International will work with you to stay within your budget and make the process of working with donors and board members easier for you. We provide the highest level of translation and interpretation at the best possible price, keeping you on budget and on track with every project.